Red RC - RC Car News - Page 6 of 4234 - Red RC - RC Car product news, views and race results. 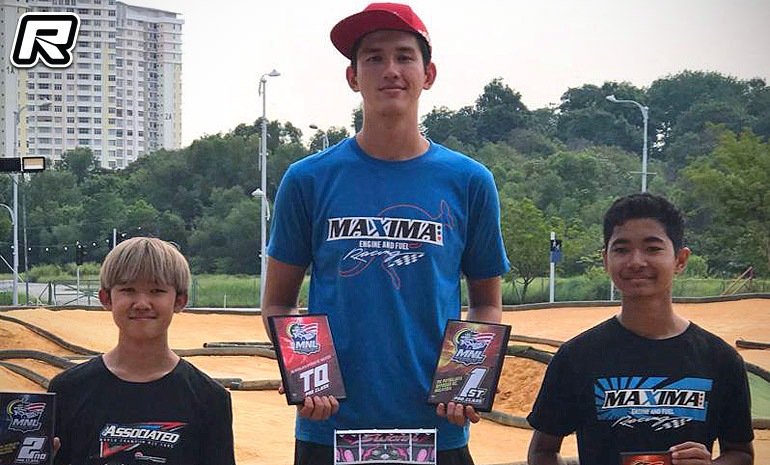 The second round of the Malaysian 1/8th Buggy National League was held at the Putrajaya track last weekend. The weather was very hot making the track dry, bumpy and dusty – and thus very challenging for all the drivers. 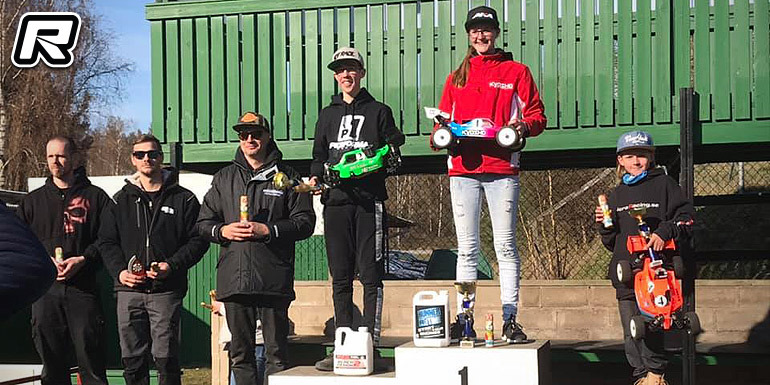 In the Pro Class it was a fight among the youngsters again as Danny K (SWorkz) took the TQ position from Jade Lim (Team Associated) and Adam Fikri (JQRacing). Both Danny and Jade were able to win their respective semis to start 1st and 2nd for the grand final. The grand final was super intense due to the extreme bumpy track conditions. Many cars had issues but in the end it was Danny K who led from start to finish by a clear two laps from Jade Lim with Adam Fikri finishing in 3rd. 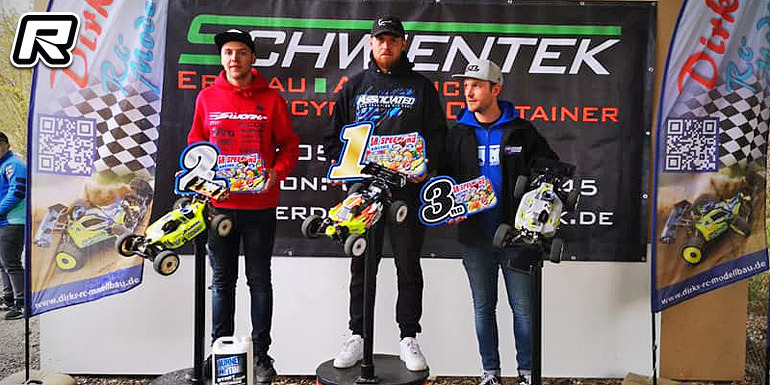 The opening round of the Belgian Electric On-road Nationals was held this past weekend at the Lovan indoor track in Alveringem. The club provided the racers with a challenging, quite grippy track and a large pit area for lots of fun on and off the track. The classes remained the same for 2019 with Formula using the Scorpion speed and motor combination, Stock 13.5 uses the proven Muchmore combo and the new Fun 17.5 class utilises a spec motor provided by T2M. 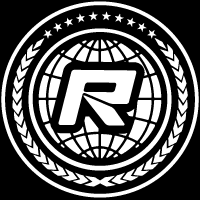 The Modified class remained unchanged and all classes use the popular Volante tyres. 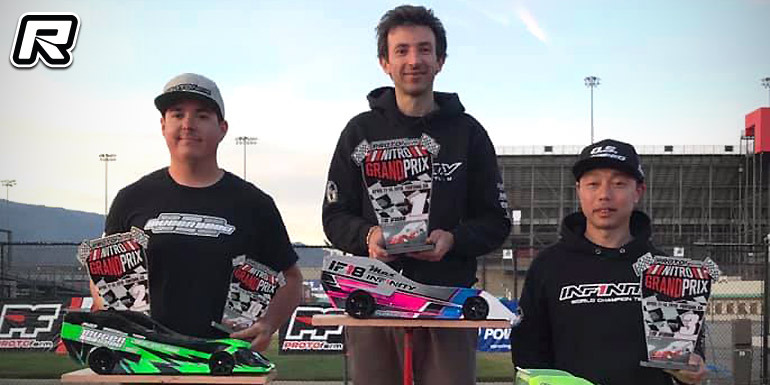 The premier Touring Modified class has been Olivier Bultynck’s playing field for over ten years, claiming national title after national title. Despite carpet not being his favourite racing surface, he shattered Florian Joos’ previous lap record during Saturday’s practice. The runner up champion of the previous four years, Mitchell Van Es, just came back into racing after a long illness. He too was very strong during Saturday’s practice with his Awesomatix car. Having raced on the same layout three weeks ago, Florian Joos already found a good setup for his car and was hoping to finish on the podium. 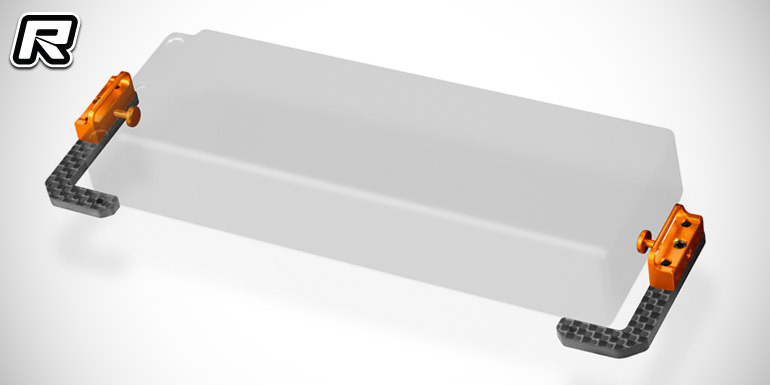 Xray have introduced their new fully adjustable battery holders for the T4 touring car. Their design allows to move the batteries front and aft by 4mm as well as left and right in order to fine-tune the car’s weight balance. 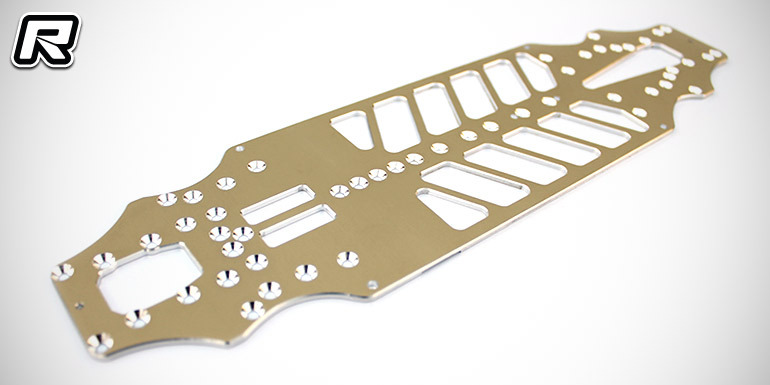 The battery mounts do away with the need to run the battery tape under the chassis, instead it is run as a loop which prevents the chassis from becoming tweaked while also ensuring a more secure battery pack mounting and optimised chassis flex. The battery holding system is available in a lightweight carbon fibre and aluminium variant as well as a heavier brass and carbon fibre version, the latter adding 7.5g of weight which comes in handy when running lightweight battery packs. The LA Speedway club in Landshut, South Germany hosted their International Easter Buggy race this past weekend. 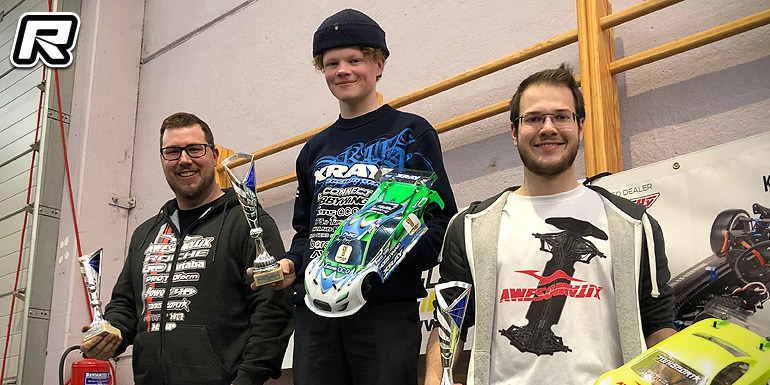 In the 1/8th Nitro Buggy class the win in the 30-minute A-main went to Team Associated driver, Alex Schmitt, some seven seconds in front of SWorkz’s Micha Widmaier. Mugen’s Carsten Keller came in 3rd while Patrick Schweinzer and Michael Nalukowy rounded out the top 5 results.